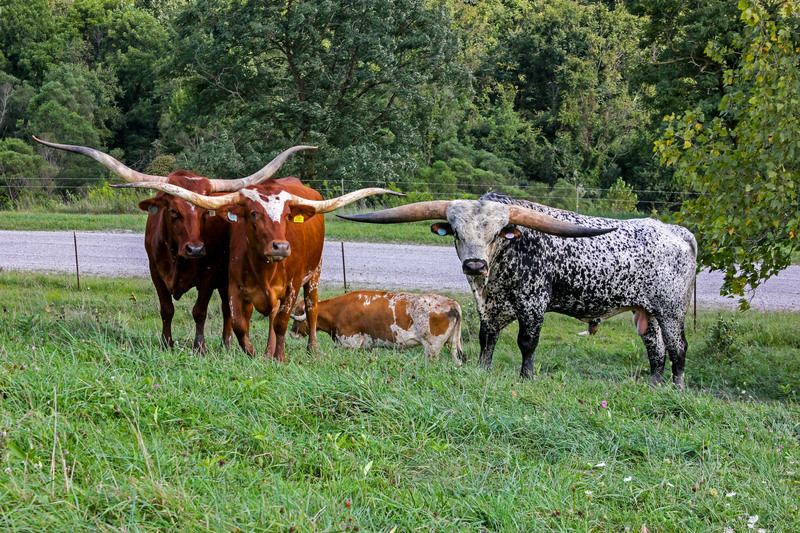 Flair Galore Every 5 years the good Lord blesses our family with a great bull. We think this may be the 5 year answer to prayer. He is so breath taking, it almost demands polite gentlemen remove their Stetsons and savor a moment of silence upon first sight. This Jamakizm X Clear Win banding has worked every direction the hand has been played. Watch him. This is a 3 year old who measures 82 5/8" T2T. 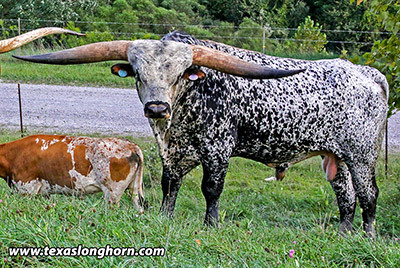 Above the horn value is the prettiest speckled color there ever was. He is not only a total, but an extreme genetic bundle.